Studio Carry On Harry , Talk Show Guest Don Harris was invited over the Phone to share objective of writing his new book Think Red Ink. In casual conversation Don shared his life expereinces and the objective with which he wrote this book. Don Harrisis a former pastor who was plagued by an inability to accept the illogical explanations of traditional Christianity. He quit. For 23 years he traveled to all 48 contiguous states as well as to Alaska, Canada, Mexico, Nigeria and Israel looking for answers. What did he find? Questions. Don discovered Jesus did not come to give us the answers; He came to teach us to think. If you have been turned off or turned out by traditional Christianity, you will find a refreshing approach to hearing the Word of God in Don’s books. 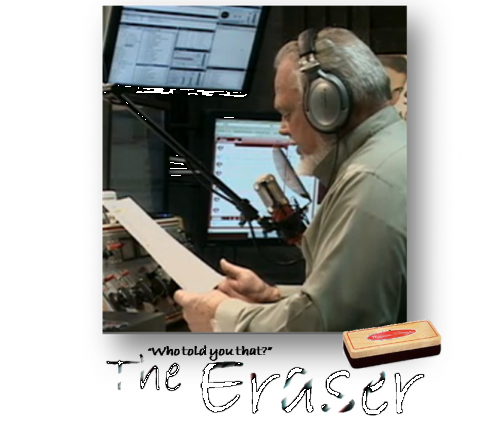 Don is the Director of Think Red Ink Ministries International and broadcasts on radio and television 24/7. Harris is the host of the daily Red Letter Edition - LIVE! radio program. Don is the Director of Think Red Ink Ministries International and broadcasts around the clock and around the world. If you have been turned out or turned off by traditional Christianity, you will find a refreshing approach to hearing the Word of God in Don’s books, radio and television programs or recorded videos. Jesus often surprised those in His audience with His ideas, ways and perspectives.